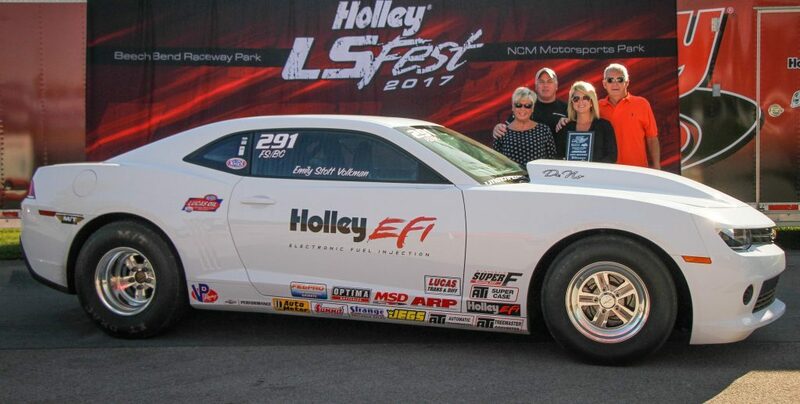 Scoggin-Dickey Parts Center Drag Race Results – Holley LS Fest 2017 Lingenfelter COPO Battle At The Green! Former NHRA national event finalist Emily Volkman drove her ’15 COPO Camaro to the Lingenfelter COPO Battle at the Green victory with a final-round decision over Brian Palcisko. Palcisko had the slightly better reaction time, but Volkman was closer to her dial with a 9.20 on a 9.17 dial opposite his fast-closing 8.92 on an 8.80. With a consistent string of runs within just hundredths of a second of 9.20 all day, Volkman defeated Bowling Green’s Donnie Bray, recent NHRA divisional event winner Daren Poole-Adams, and, in the semifinals, Jim McLeod, who narrowly red-lighted. Poole-Adams paced all qualifiers with a .019 light. 1986 NHRA Stock world champion Al Corda was No. 2 with a .023, Holley Director of EFI Business Development Robin Lawrence was third with a .026, and Volkman was fourth with a .041. 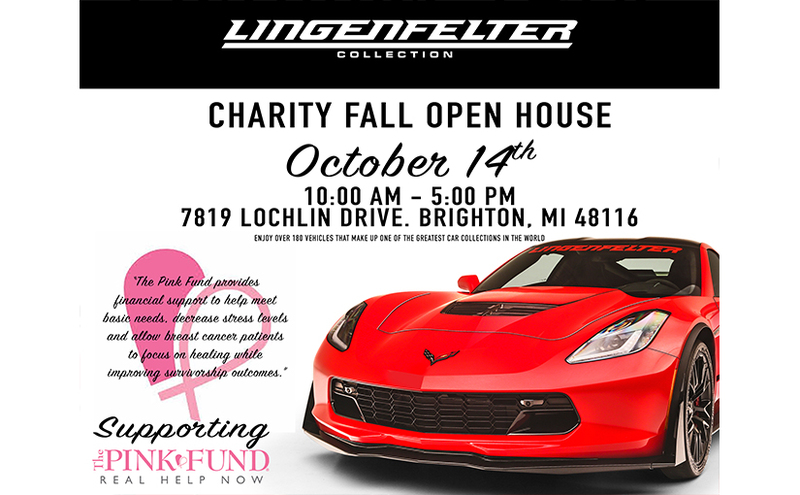 September 19, 2017 Posted on September 19, 2017 Categories Lingenfelter Performance, Team Lingenfelter1 Comment on Scoggin-Dickey Parts Center Drag Race Results – Holley LS Fest 2017 Lingenfelter COPO Battle At The Green! After all the tire smoke from more than 1,200 cars and three days of non-stop action literally had cleared, Danny Popp walked off with the top prize, the Grand Champion crown. With a record crowd looking on – the biggest in the long history of Beech Bend Raceway Park – Popp drove his ’03 Corvette Z06 to victory by a wide margin (13 points) over another veteran of the LS Fest wars, Rich Wilhoff, who also finished in the runner-up position at the inaugural LS Fest West earlier this year in Las Vegas. 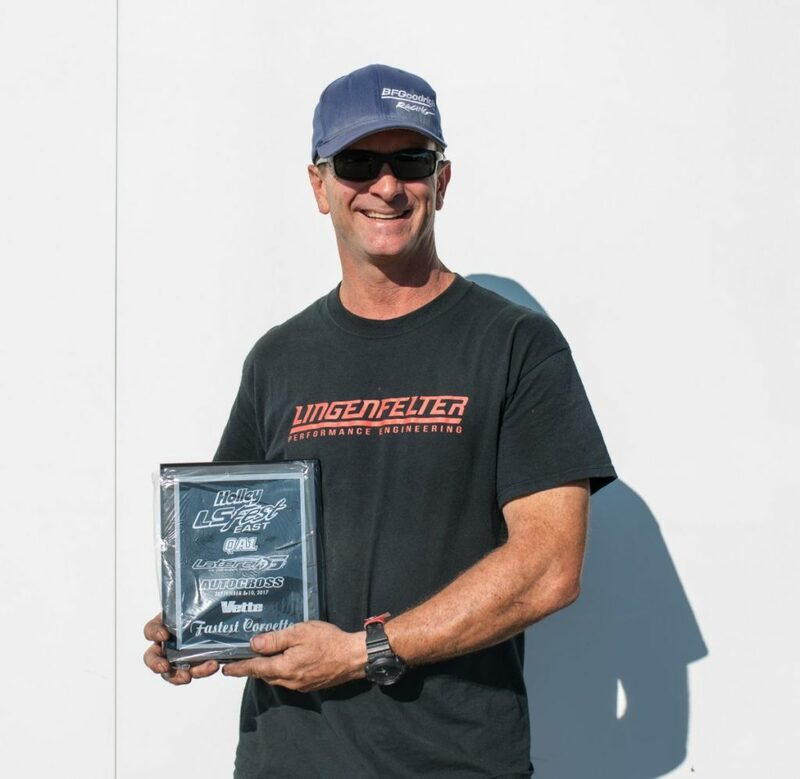 Popp came out on top in both QA1 Autocross events – one at Beech Bend Raceway Park and the other at NCM Motorsports Park – to earn the maximum possible Autocross points: 50. He finished second in the 3S Challenge and third in the Drag Race for a grand total of 92 points – just eight points shy of a perfect 100. 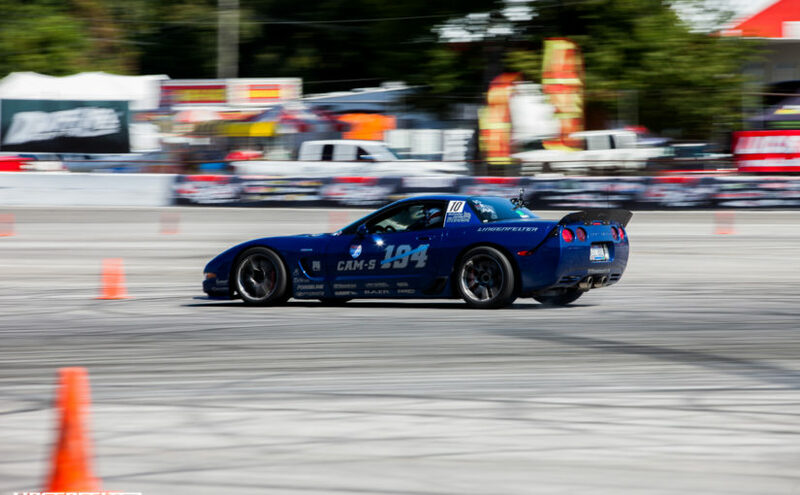 Driving an ’06 Corvette Z06, Wilhoff ruled the 3S Challenge and was second to Popp in both Autocross events but finished just 11th in drag racing for a total of 79 points. Joe Gregory was a distant third behind Wilhoff with 56 points, and Sam Strano narrowly edged out Ryan Mathews and Tyler Powell for fourth place overall. Popp topped all challengers on the NCM Autocross track, winning with a time of 42.766 seconds, about a half-second faster than Wilhoff’s second-place time of 43.253. Strano, who finished fourth in the overall Grand Champion standings. Mike DuSold, Grand Champion of both the 2016 LS Fest and the 2017 LS Fest West in Las Vegas, was fourth, and Jack Stanford was fifth. On the equally challenging Beech Bend Raceway Park Autocross course, Popp again emerged victorious, again over Wilhoff. This one was even closer – Wilhoff actually tied Popp right to the thousandth of a second with a time of exactly 31.107 seconds , the first time LS Fest officials have observed that in competition – but Popp won the tiebreaker (runoff combined time), 62.060 seconds to Wilhoff’s close 62.111. Stanford was about a half-second back with a 31.508, Strano was about a half-second behind Stanford with a 31.568, and Larry Woo rounded out the top five with a time of 31.657. Wilhoff was second to no one at the Baer/Super Chevy 3S Challenge, registering a winning time of 22.262. He also took home the coveted Vette Magazine Fastest Corvette award. Popp was right on his heels at 22.515, and Logan Palmer’s ’11 Corvette was right behind him with a score of 22.756 seconds. Fourth place went to Bret Voelkel’s Camaro (22.844 seconds), and fifth-place honors went to Tyler Powell’s ’63 Corvette with a time of 23.035.